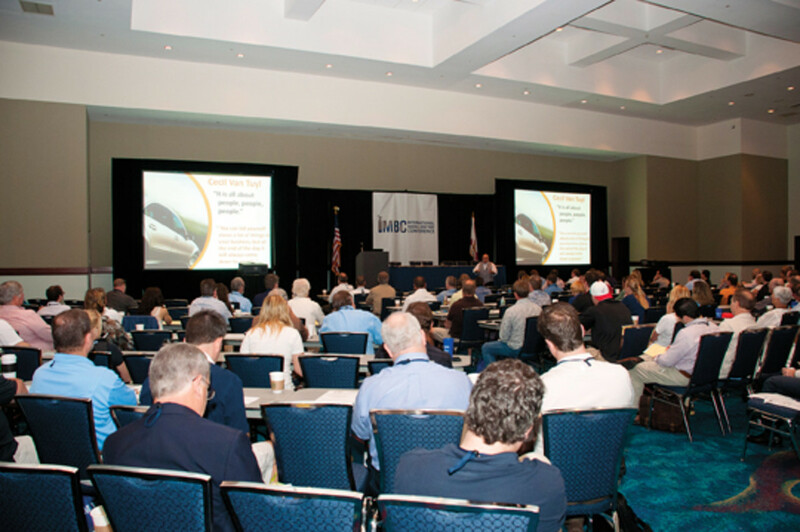 The IMBC is adding sessions on engineering and design to its January conference. The marina industry is undergoing a transformation, brought on by the economic downturn, increasing weather challenges and a greater emphasis on environmentally sound practices. That’s why International Marina & Boatyard Conference participants have been asking for more educational programs in engineering and design, says Jim Frye, the IMBC’s master of ceremonies and past chairman of the Association of Marina Industries, which produces the conference. It is scheduled for Jan. 29-31 at the Broward County Convention Center in Fort Lauderdale. One of the engineering track workshop sessions will focus on the design aspects of floating platforms with Craig Funston of Redpoint Structures, Devlin says. Another session will be a case study of Yacht Club Costa Smeralda on Virgin Gorda in the British Virgin Islands. Tim Mason of Applied Technology & Management, Steve Ryder of Bellingham Marine and William Huffman of H&K Engineering will lead the program. The Virgin Gorda project consisted of building a superyacht facility on a small island. The island’s limited infrastructure and the region’s exposure to dynamic weather posed some unique challenges. “We wanted to have a case study around a megayacht facility that was pretty challenging to design in terms of wind and current,” Devlin says. The work done by Bellingham Marine, in partnership with the H&K Engineering Group, earned the 2013 Project Excellence Award from the American Society of Civil Engineers’ coastal institute known as COPRI (Coasts, Oceans, Ports and Rivers Institute). “It’s a pretty technical case study with three of the participants on that project,” Devlin says. With an increasing numbers of storms and hurricanes forming later in the season and affecting broader geographic swaths, another session will focus on wind speeds and marina pile anchorage. The increase in storms means more marina owners and managers are faced with determining the wind-load capacity of facilities, how vessel occupancy affects their anchor loads and when boats should pull out. H&K’s Huffman will lead that program and will cover basic guidelines to help determine the specific wind/wave/current load capacity of a marina — both while occupied and while empty. The final session will be an interactive workshop focusing on the engineered approach to marina construction contracting. Esteban Biondi and Pete Peterson, both of Applied Technology & Management, and Mike Dombrowski of MRD Associates will lead the program. They will discuss the trend (for facilities with floating docks, in particular) toward a “design-build contract” in which the contractor is ultimately responsible for the final dock system design, supply and installation in conjunction with a dock manufacturer. The pre-conference American Society of Civil Engineers marina design course is based on the recently published ASCE Manual 50, Devlin says. Presented by the primary authors of the ASCE manual, the course will offer case studies to demonstrate how to apply highly integrated planning and design to small craft harbor development, including breakwaters, inner harbor structures and land-based support facilities. Waterfront development continues to play a growing role in the new global economy, says COPRI director Tom Chase. The technically complex and challenging nature of waterfront design, as well as economic pressures, put engineers in a position of designing advanced infrastructure that keeps boats safe from the elements in an environmentally friendly way, typically on a budget, Devlin says. Presenters include Tim Blankship, director of engineering at Coastal Systems International Inc.; Jack Cox, senior coastal engineer, and Fred Klancnik, principal engineer, both at SmithGroupJJR; Mason, senior engineer at Applied Technology & Management; and Mark Pirrello, a senior engineer at Moffatt & Nichol. The course will take place on Jan. 29 from 8:30 a.m. to 4 p.m. The cost is $550 for members and $650 for non-members.